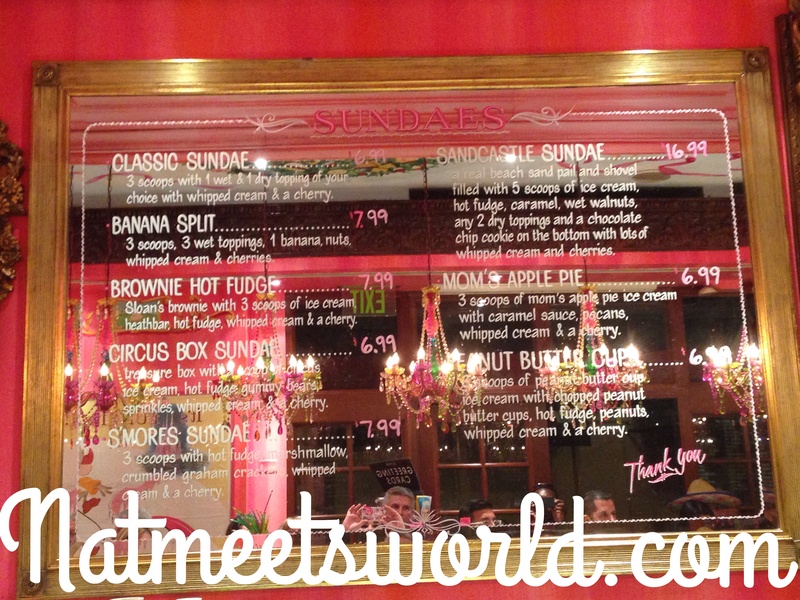 There is nothing that I love more than a sweet dessert, and Sloan’s Ice Cream is the place to go when I am in the mood for some amazing homemade sundaes! 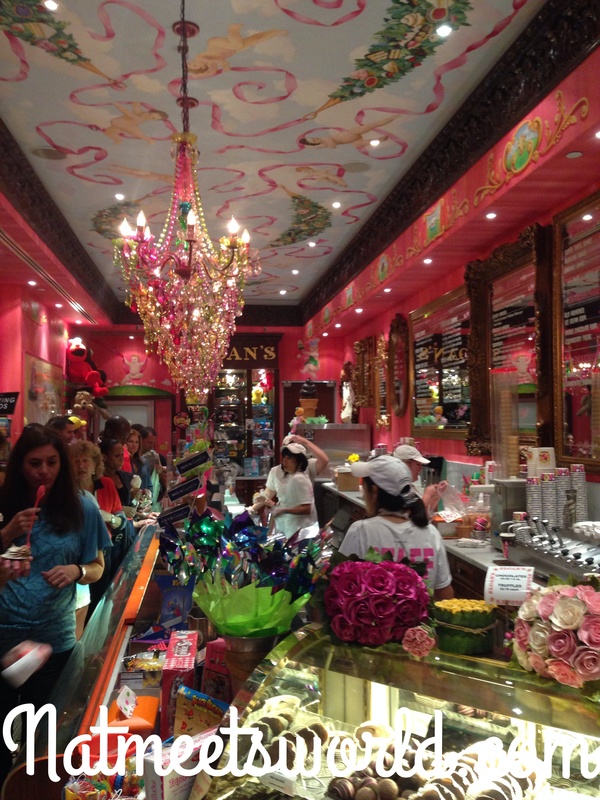 I first discovered Sloan’s a few years ago when visiting City Place in West Palm Beach. 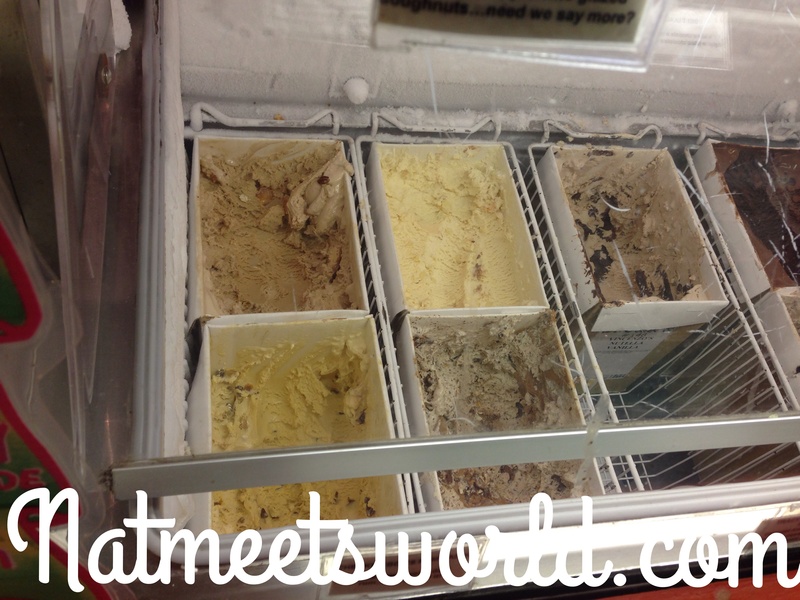 Now, I’m addicted and never skip out on an ice cream from them when I visit West Palm. 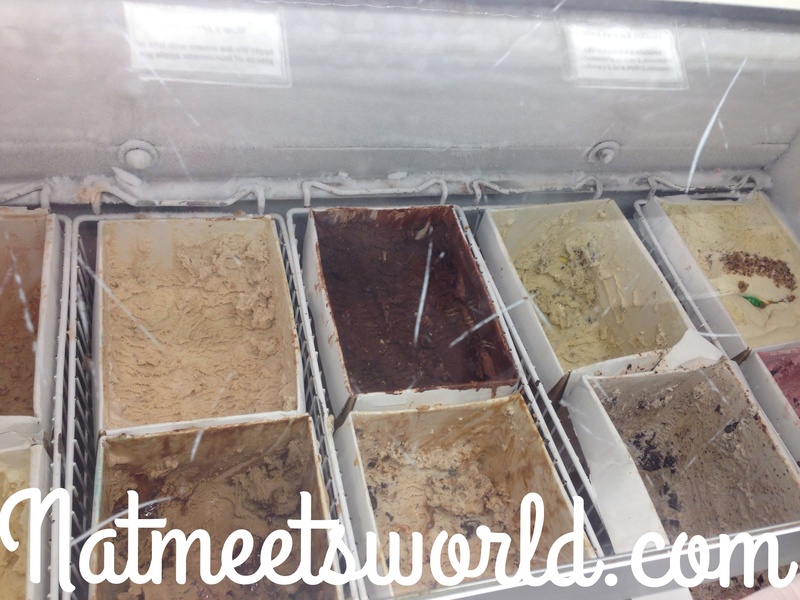 Sloan’s makes their own ice cream and it is truly unlike any other ice cream I have tasted. They are uber creamy and loaded with all kinds of treats like cookies, brownies, caramel, the list goes on an on. I have never had an ice cream from this little shop that did not exceed my expectations. 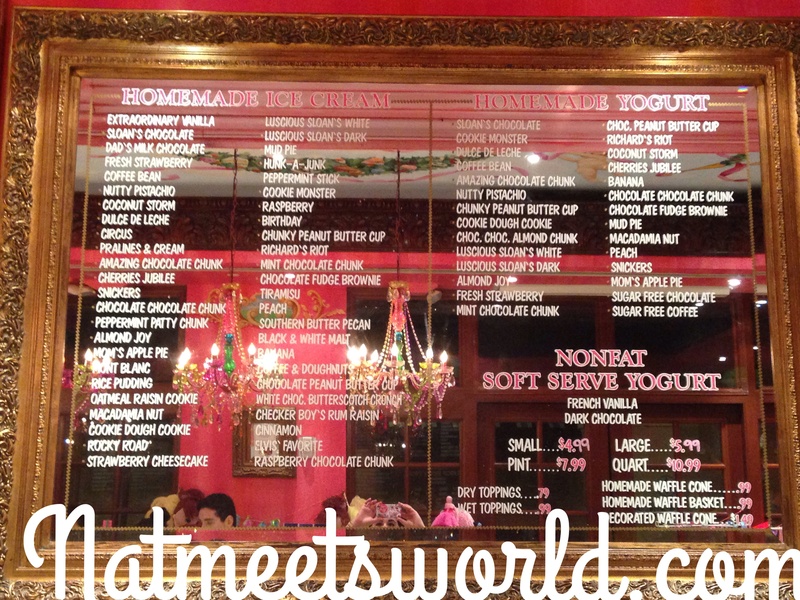 You truly will not find any ice cream as delicious as this anywhere else. Any whipped cream lovers reading this? Be sure to ask for whipped cream on your ice cream, because it is homemade too! This is the best whipped cream I have EVER had! If they sold this in take home bottles, I would purchase a lifetime supply! 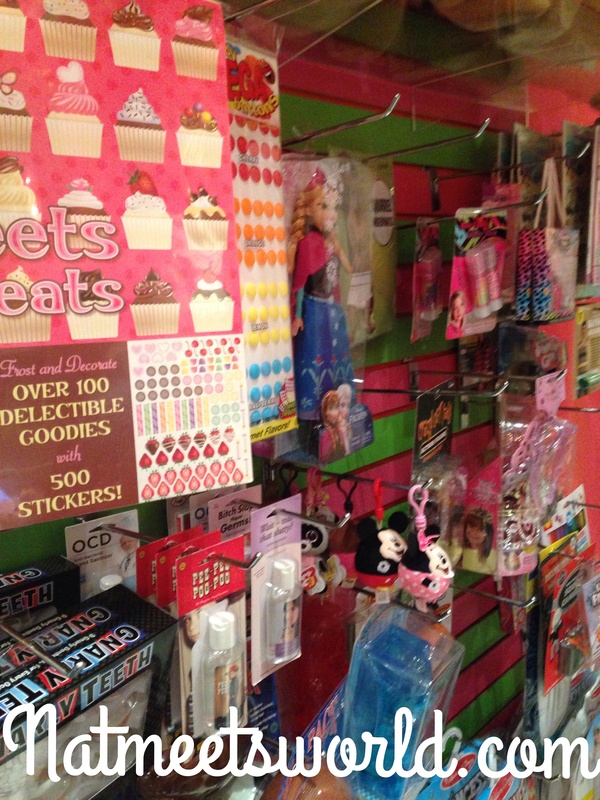 When you walk into Sloan’s, you are not going to know where to look. 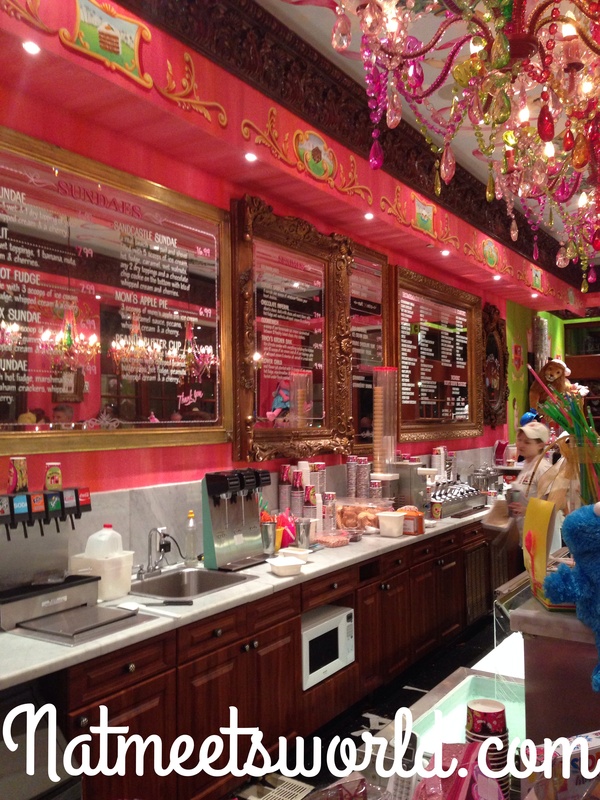 The walls are covered with splashes of every color you can think of. 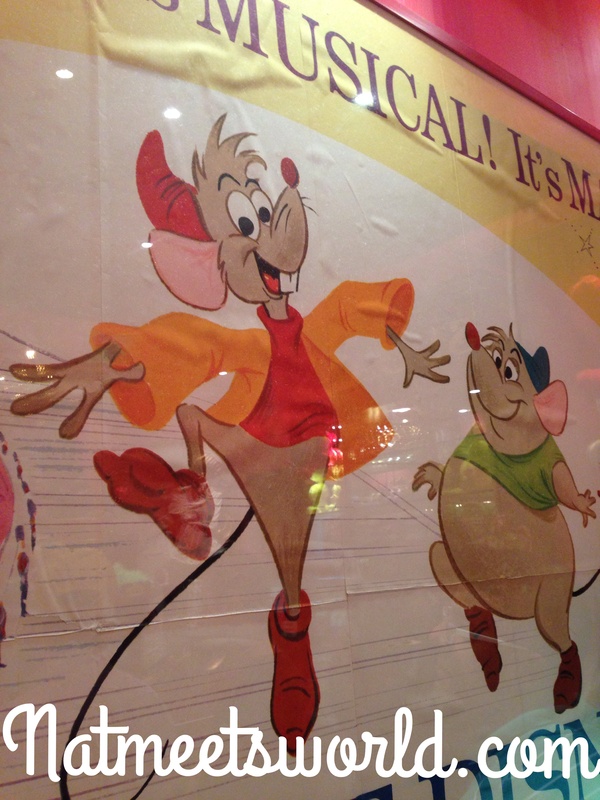 I personally love the huge picture of Gus-Gus and Jacques from Cinderella on the wall. (It adds that nice Disney touch!) 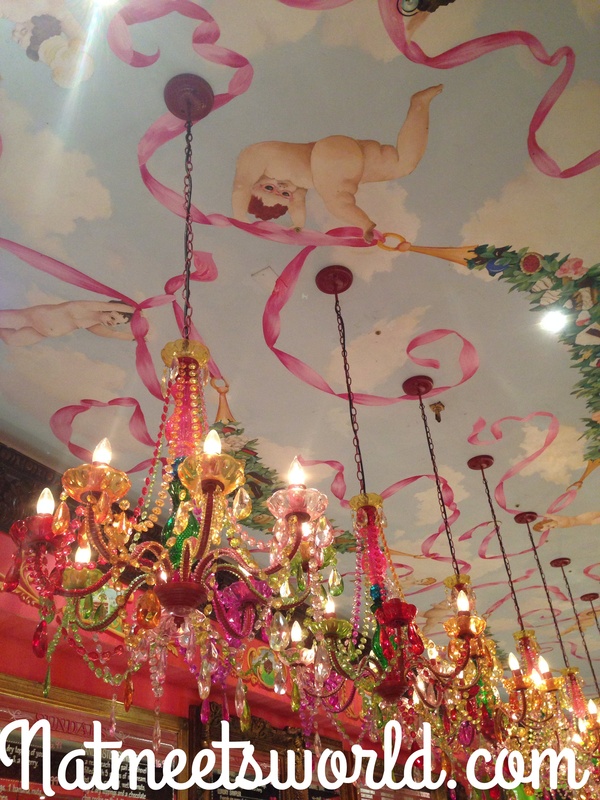 I also love the colorful chandeliers and ceiling design. Check it out below! Many of you know how much of a fan I am of unique public restrooms (I know, I’m strange but I love it). Sloan’s has a really cool feature on their bathroom door. 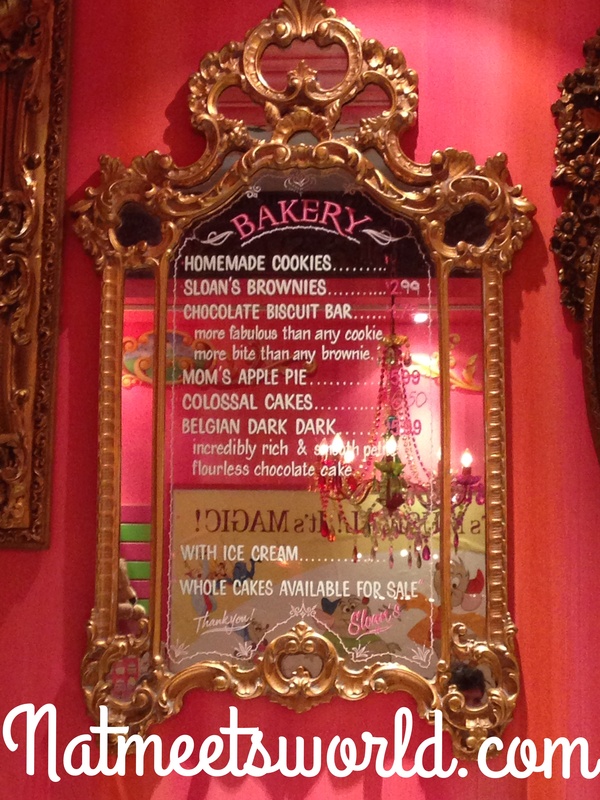 When you look at it, you will second guess entering and using it because its door is crystal clear (see pic below) and it faces the entire ice cream line! At first I wondered how is this even legal?! But then, I noticed that when you walk in and lock the door, it changes from crystal clear to a white frosted glass, thus not allowing anyone to see you doing your business. 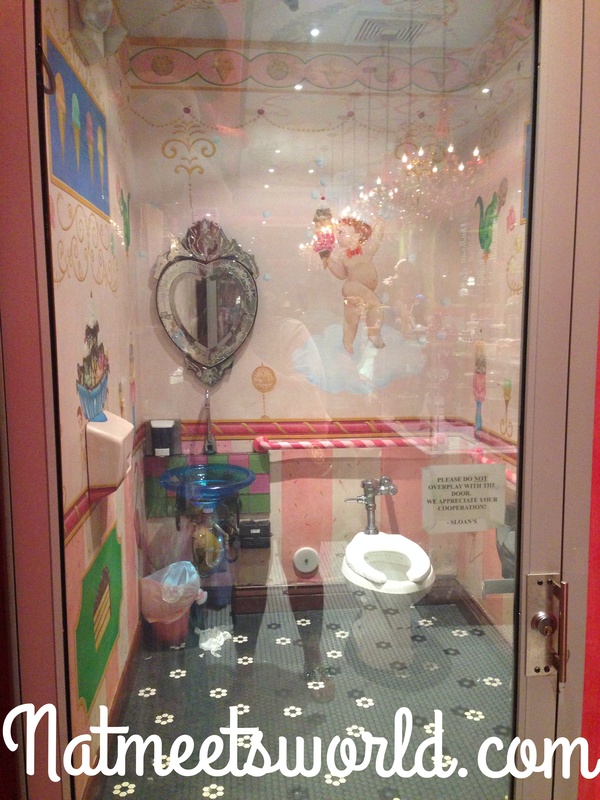 This is the same crystal clear door in the picture above when the bathroom is unlocked! Pretty cool, huh?! Every time that I pay Sloan’s a visit, I have never been able to order my ice cream without a large line ahead of me. Be patient, it is totally worth the wait! They are very good about speeding things up, so don’t panic! 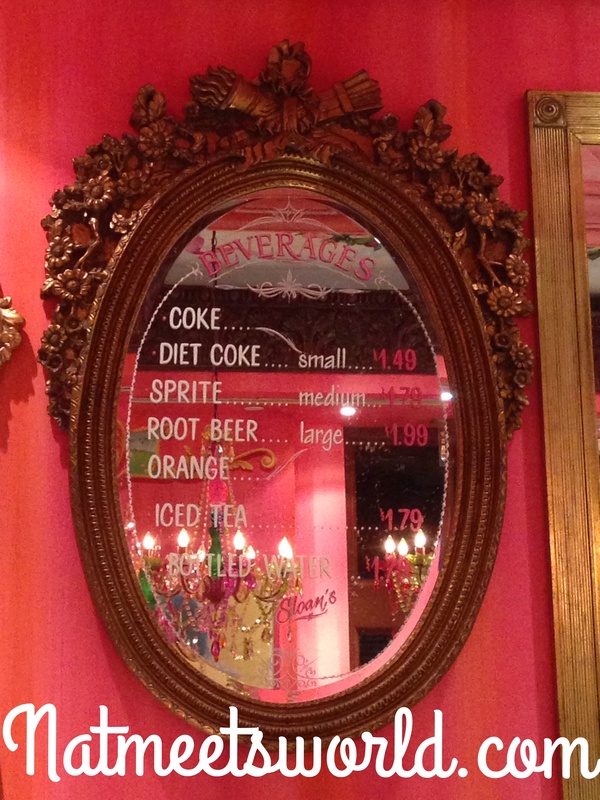 The menus are posted on large mirrors behind the ice cream bar and are really beautiful. 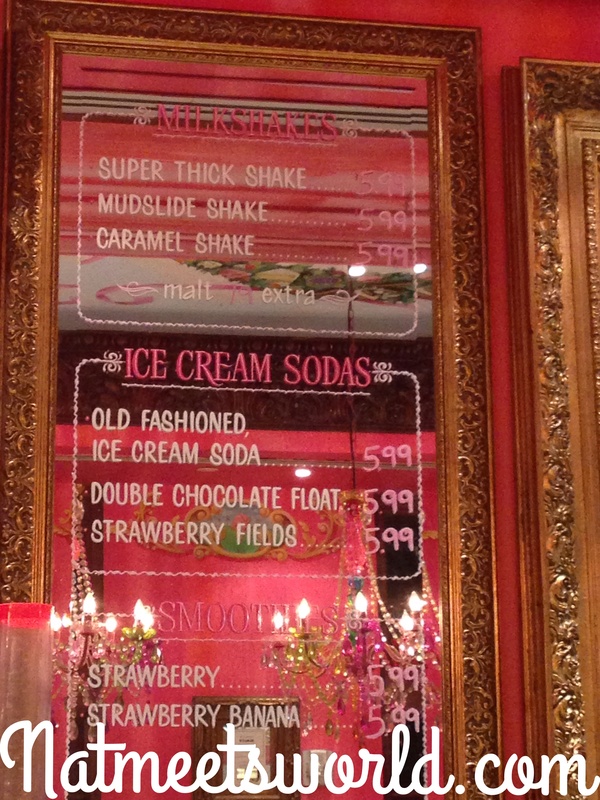 It was hard taking pictures of this clearly, but below are the menu options Sloan’s offers. 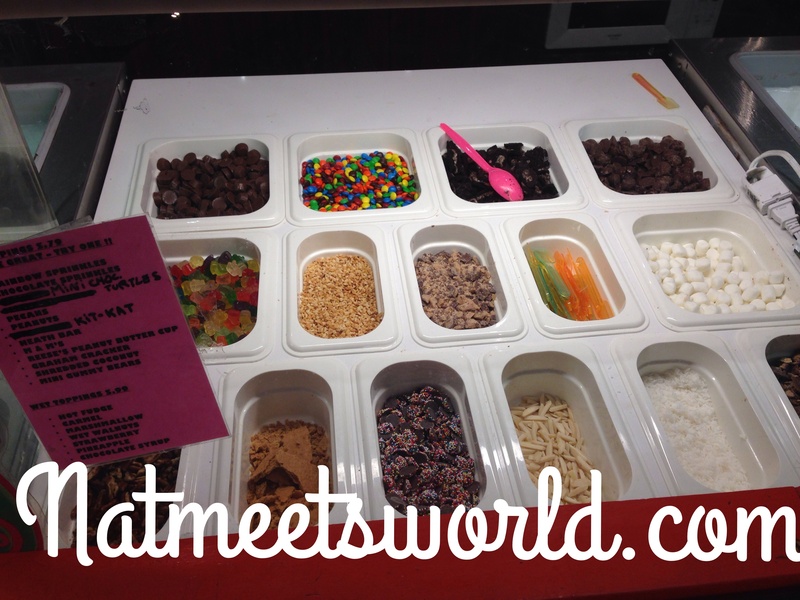 Here are some of the ice cream cartons and toppings. Since I had a heavy dinner, I opted for a cone instead of a sundae this time. I got my favorite, chocolate chip cookie dough! 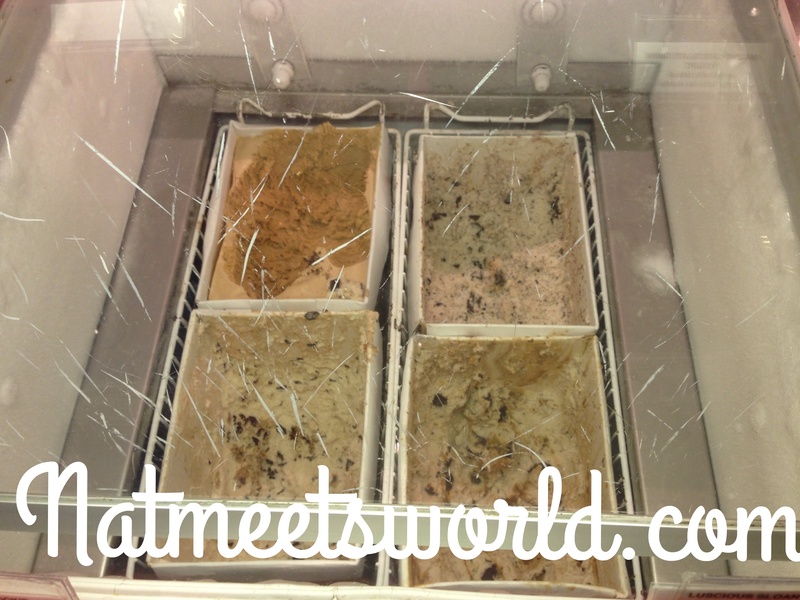 You can see in the pic below, the chocolate cookie dough is made with creamy vanilla ice cream and real chocolate chip cookies are baked fresh and mixed in with the ice cream. 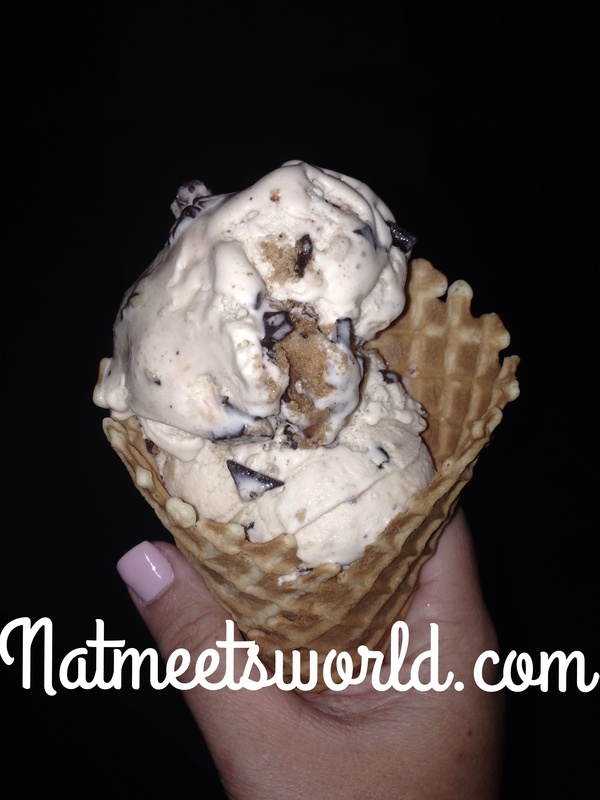 It is truly heaven in a cone! 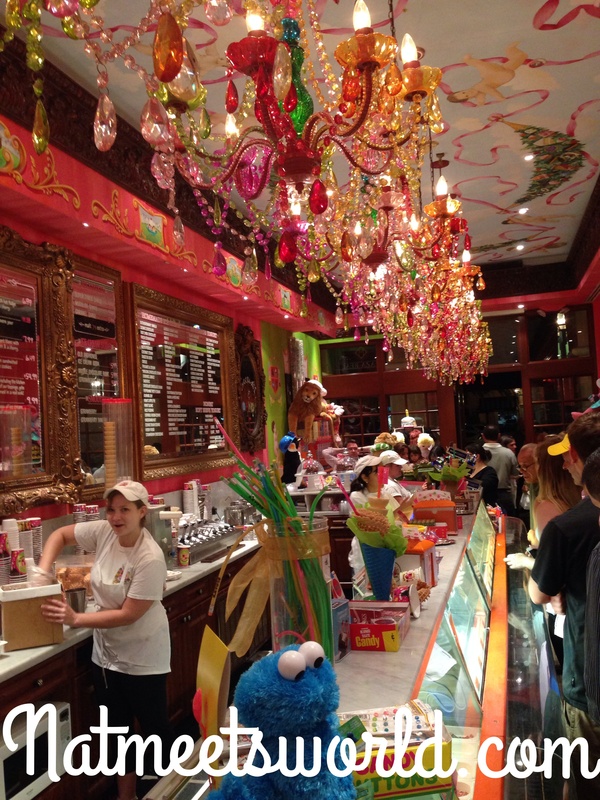 The ice cream at Sloan’s is priced above a typical average for what ice cream sells at with other stores and competitors, however, like I mentioned earlier, you won’t find that kind of quality ice cream elsewhere. The portions are also large and easy to share with someone if you are ordering a sundae. You can click here to be redirected to their official website with more information on locations, contact info, menu, and franchise opportunities. You can also follow them on Twitter, Facebook, Pinterest, and Tumblr. These links are on their website as well. 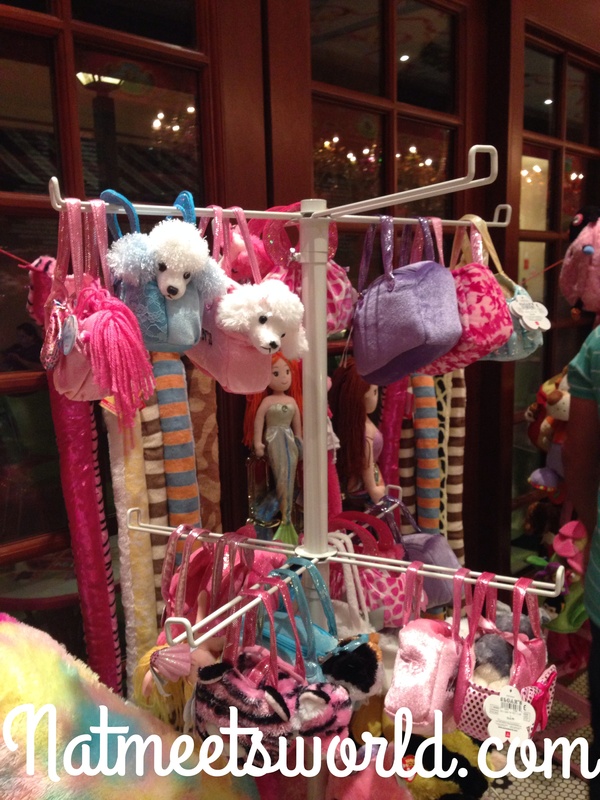 Next time you are in the palm beach area, check out Sloan’s! Let me know what you think!